It’s been more than three decades since the classic surf film North Shore was released, yet the main character on whose life the story is based is still catching waves – right here in Coronado. 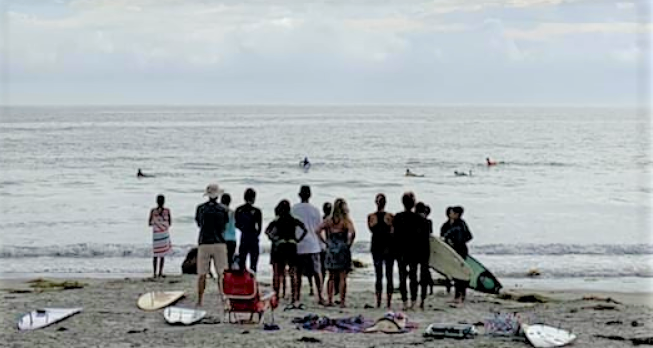 Mike Gillard was the real-life Rick Kane: a kid from Arizona who moved to the North Shore of Hawaii to pursue his love and talent for surfing. 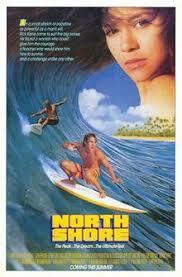 Shortly before the release of the film in 1987, Mike made Coronado his permanent home after graduating from college in Hawaii. 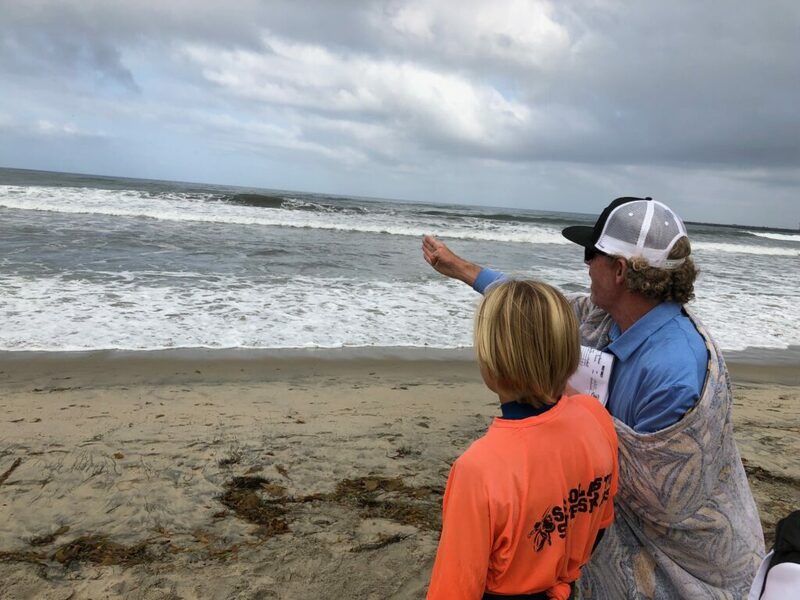 Mike spent the next thirty years entering and winning surf competitions all over the world, as well as surfing professionally – bringing over 1000 title wins and pride to his hometown of Coronado. This year, Mike gave Coronado another reason to be proud. 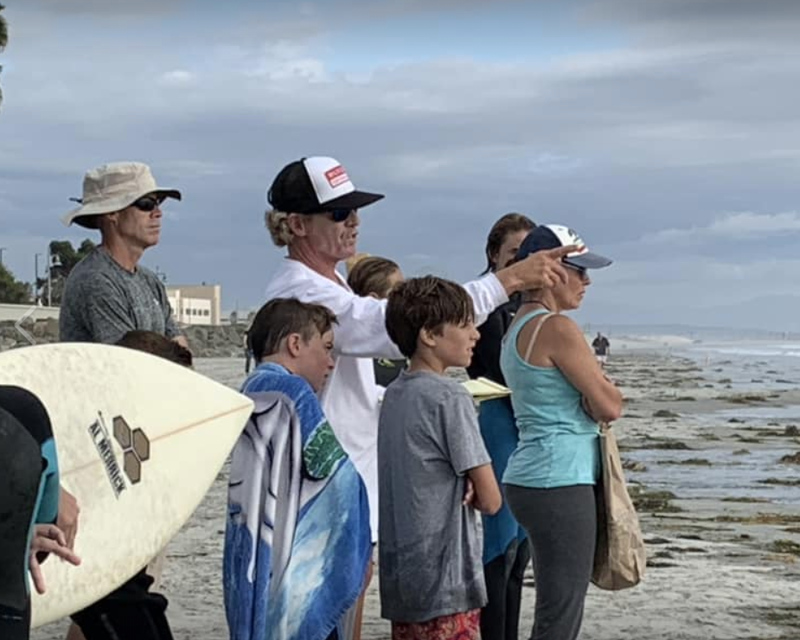 In the aftermath of losing beloved surf coach and community member, Stan Searfus – Mike stepped up and volunteered to coach the Coronado Middle School surf team. Thankfully, Mike reports that parents have been understanding and supportive regarding the challenges he is up against. He credits their volunteer efforts as the reason he is able to coach at all. Today, married with two kids, Mike’s likeness to the characters of the North Shore movie has shifted from resembling the ambitious teenager Rick Kane – to that of Rick’s mentor in the film, the wise and seasoned Chandler. Hollywood fame aside, Mike Gillard consistently demonstrates the qualities that make a true star, and one that Coronado is proud to call their own.